The Expolite TourLED MC60 Zoom Spot, a spotlight that convinces with its functions, brightness and processing. The spot from Expolight is equipped with a 60W MultiChip LED in red, green, blue and white. The colouring of the LEDs of the Expolite TourLED MC60 makes it possible to display almost any mixed colour perfectly. The headlight can be used as a beam (4.5°) as well as a wash (45°). 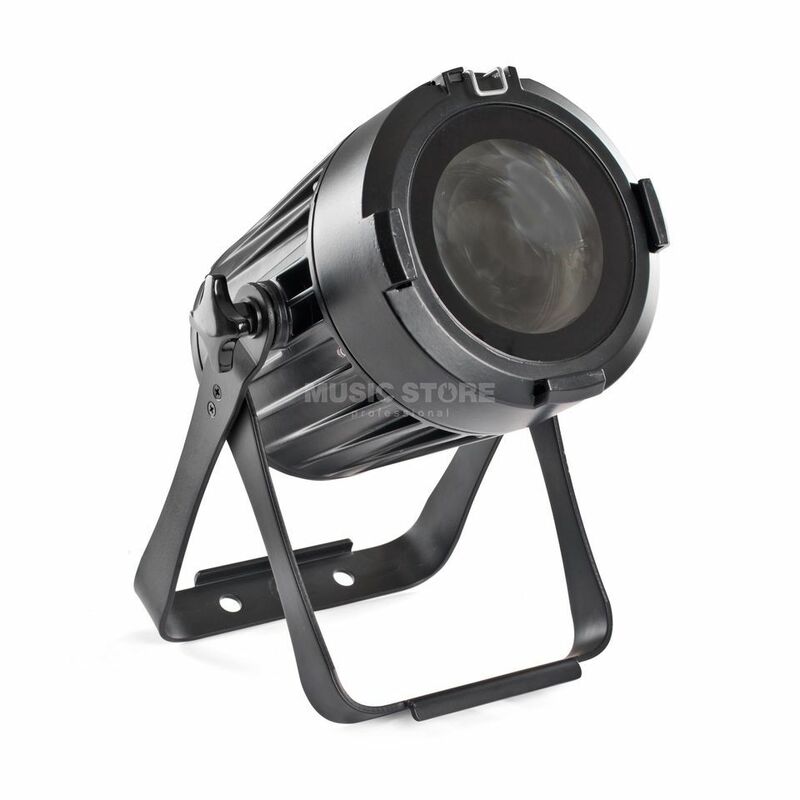 The zoom of the Expolite TourLED MC60 is motorized so that the beam angle can be easily adjusted via DMX. Due to the robust die-cast housing, the heat is dissipated through the housing and is therefore fanless, making the spotlight perfect for TV studio, theatre and gala use.